Are you looking for a pull saw with a curved blade, but find the curve of the Zübat, a 650 degree radius, to be too extreme? 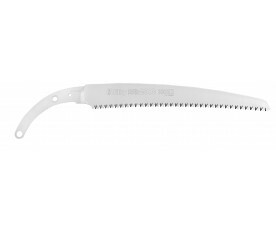 Then the Natanoko 2000 with a slightly curved blade and a radius of 2000 is the ideal saw for you. 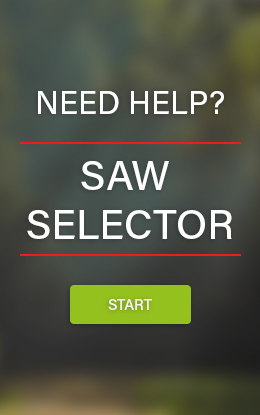 It is the brother of the Bigboy 2000 for fixed saws. 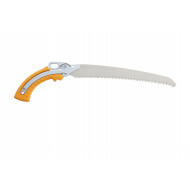 The strong saw blade is very rigid and has extra large teeth. This will make you saw through thick tree trunks effortlessly. Are you looking for a pull saw with a curved blade, but find the curve of the Zübat, a 650 degree radius, to be too extreme? 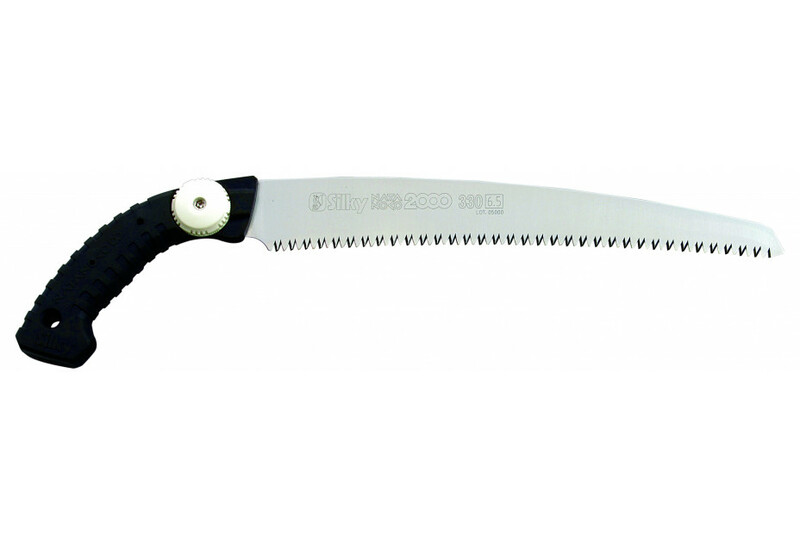 Then the Natanoko 2000 with a slightly curved blade and a radius of 2000 is the ideal saw for you. It is the brother of the Bigboy 2000 for fixed saws. 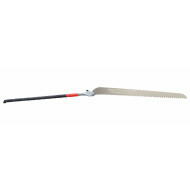 The strong saw blade is very rigid and has extra-large teeth. This will make you saw through thick tree trunks effortlessly. The big rubber handle absorbs vibrations, offers grip and feels comfortable. The blade can be replaced within seconds by turning the rotary knob on the handle. No tools necessary. The scabbard has been designed in such a way, so that the saw will not fall out, even when you are in difficult positions while climbing. As soon as you need the saw, you can pull it out of its scabbard easily with just one hand, by pressing your thumb on the button on the side. Do not forget to order the available leg straps to always have your Natanoko at hand. The name Natanoko is a combination of the Japanese words ‘axe’ (nata) and ‘handsaw’ (noko). 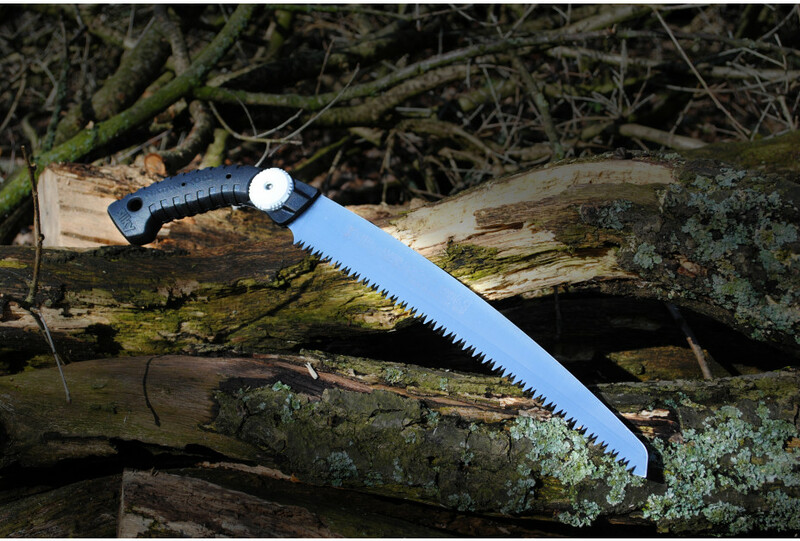 The Natanoko 2000 has a slightly curved blade and additional large teeth of 6.5 per 30 mm for pruning fresh wood. The Natanoko 60 straight blade with large teeth is available in two blade lengths: 300 and 330 mm. 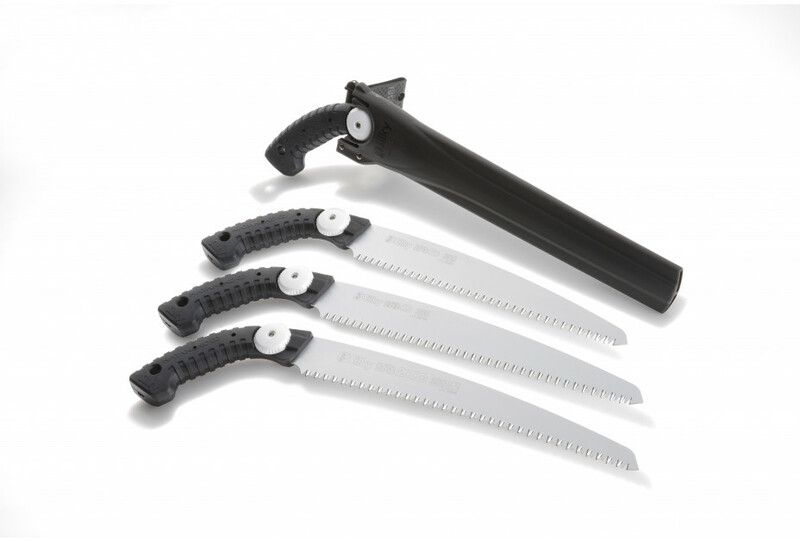 All saws of the Natanoko series come with a lightweight, polypropylene scabbard with detachable belt holder. 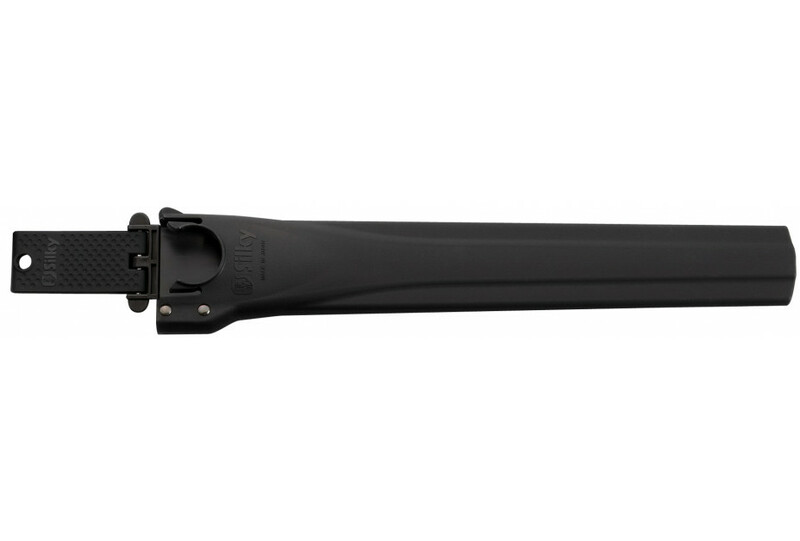 The scabbard has two rollers that prevent the sharp teeth from damaging the case. The bottom part is equipped with a hole that drains moist and saw dust.